And they've partnered with Warner Bros. Interactive for the release. Unfortunately there's currently no media barring a press release around the game, but given the success of Left 4 Dead and the learnings they will have taken from the Evolve debacle, Back 4 Blood is likely on the right path. BURBANK, CA – March 14, 2019 – Warner Bros. Interactive Entertainment and Turtle Rock Studios today announced Back 4 Blood, from the creators and development team behind the critically acclaimed, co-op phenomenon Left 4 Dead. Back 4 Blood is designed from the ground-up as an original, premium title and marries the best of what made the co-op zombie shooter so successful with new features and state-of-the-art technology. You can read a basic FAQ on the freshly-announced game right here. Hopefully we see something moving from a media point of view at this year's E3. love a good zombie shooter. 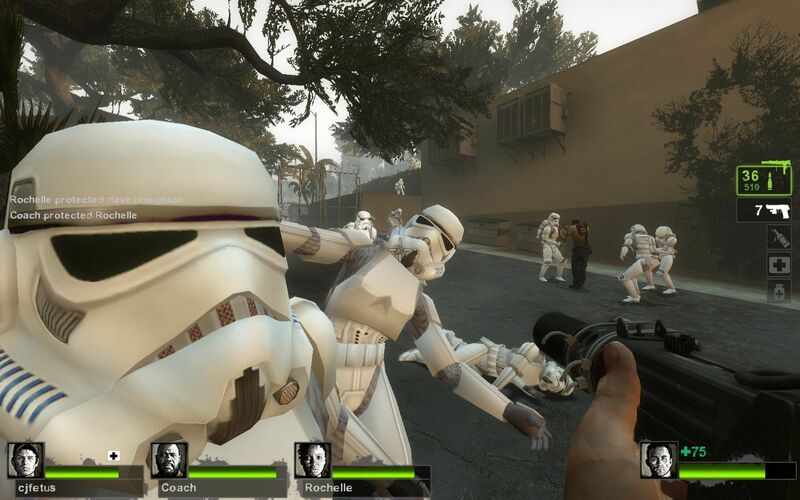 Has there been anything better than L4D2 as far as coop zombie shooters go? Dying Light was pretty good. So was Dead Island.